Today, we are going to take a look at the top 10 MLM Companies in Brazil. Network marketing is a popular business structure in this large South American country. Because of its popularity, there have been various MLM scams. The Brazilian government, in an effort to halt the scams, has made many rules and restrictions for MLM companies to operate there. As long as MLM companies abide by the rules, the Brazil market can be quite lucrative. Starting from #10, here are the top 10 MLM Companies in Brazil… You can find the company’s website link in the reference section. Disclaimer: Neither I nor Online MLM Community is affiliated with any of these companies. This information is for your education. An MLM Company that was founded in 1980, Herbalife manufactures and sells a variety of nutritional supplements, weight loss supplements and also, personal care items. Herbalife has various independent representatives in Brazil and business is good. The Herbalife Brazilian website is in Portuguese. 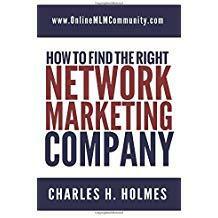 This dietary supplement MLM company was started back in 1993 by Charles Ragus. Based in Plano, Texas, Advocare discovered a desire to sell these products in Brazil, so the company allowed expansion into Brazil. With sports, especially soccer, Advocare products are well accepted in Brazil. Cosmetics are a huge selling commodity in Brazil, and Mary Kay has a huge following in the country. Based in Addison, Texas, Mary Kay Ash founded this MLM company back in 1963. Mary Kay is one of the largest MLM Companies in the world. I don’t know if you will see pink Mary Kay Cadillac cars in Brazil, but I do know you will find many happy Mary Kay representatives. Yes, the Avon lady operates in Brazil too. Avon has been going strong since it was started in 1886. And the fact is, Brazil is Avon’s largest market… Even bigger than the U.S. The company has cosmetics, other personal care and household products that are popular in Brazil. With a huge range of products for personal care and dietary supplementation, Nu Skin started in 1984 in Provo, Utah and has spread all around the world. Brazil has several successful Nu Skin representatives and the company has a strong presence in the country. Earl Tupper started this unique brand of kitchen storage containers in 1948. Now Tupperware is favored by housewives all over the world. That includes Brazil. Year after year, Tupperware has amazing sales revenues. This South American MLM Company that claims it was inspired by, and created for women. Yanbal has over 50 years of selling via direct sales cosmetics, perfumes, jewelry and more. Based in Peru, Brazilians have adopted the company into their country. Belcorp and Yanbal are fierce competitors. After all, it is a family feud as to who has the best cosmetics. But Belcorp has an advantage in Brazil in that they opened an office there. Belcorp has a strong presence in Brazil and it seems this cosmetic company will continue to have strong growth there. More than likely, you are familiar with Amway. One of the biggest MLM Companies in the world. The company was founded in 1959 in Michigan and started spreading out around the world. In 1991, Amway opened in Brazil and has grown huge there. The company even has farms where they grow tropical fruits in Brazil. Natura gets the #1 spot. This is a Brazilian cosmetics MLM Company that was founded in 1969 and is headquartered in Cajamar, Brazil. While cosmetics are this company’s top sellers, they manufacture a wide range of products. Brazilians support their local companies and that is why Natura gets the top spot. That is my opinion of the top 10 MLM Companies in Brazil. If you believe the list should be different, feel free to post your opinion below. I look forward to hearing from you. Thank you for visiting and have a great day!